Add this player to your pre game scouting board. Valuable shooter, ballhandler and basketball IQ. Long, upfront defender that defends and plays multiple positions effectively. Team values his stamina and good speed. A team leader with enthusiastic and good communication skills. Offensively, gets good post position and produces results by way of assists or finishes. Good presence, good IQ and team focus. Leads his team offensively, which is a good decision. Mixes a combination of running floaters, pullups and high arching 3 pointers. Changes speeds well. Not phased by physicality as evidenced by his willingness to rebound. Level headed - no excessive emotional displays - which is a leadership trait for teammates in itself. Long and willing shot blocker. Active help defender. Above average freethrower. In a good system to grow and expand his offensive skills. Unlimited potential, unlimited desire. Long stretch rebounder. Emerging scorer. Plays defense and rebounds willingly. Positive enthusiastic performer. Needs work on prioritizing transition and ballhandling. Nice tall 2 guard. Volume shooter and has the green light. Good halfcourt offensive passer. Picks proper spots to be effective on offense. Works well with his teammates. Carries his team the entire season. Moves well; an active defender. Contact rebounder. Establishes post position instinctively needed. Aggressive offensive moves. Adequate in transition at the CCJBC level. Active and opportunistic scorer. Reads defenses well and takes advantage of them. Good midrange game. Not afraid of contact. Has a variety of ballhandling skills as an offensive threat. Establishes his offensive presence early and consistently. Needs offhand focus and repetition. Good ballhandler. Makes great decisions in transition. Uses both hands well. Good court vision. 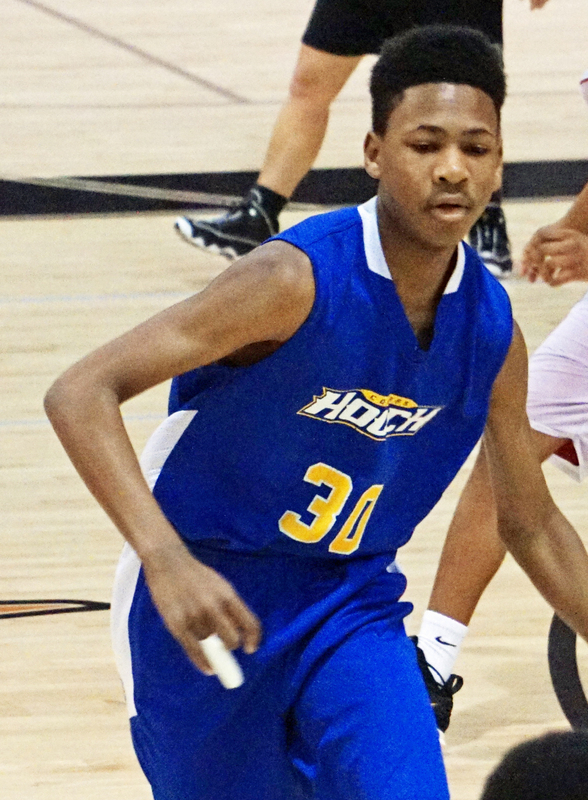 Quick player, good jumper, good passer communicates with teammates individually on defense. 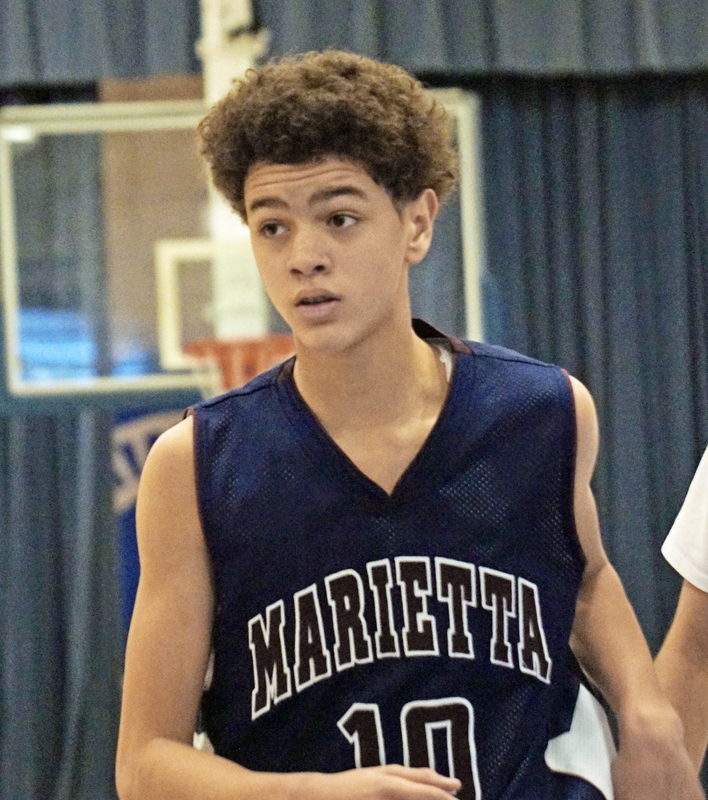 This summer's activities and exposure will dictate high school level as a freshman next season. Good jumper, decent passer strong moves in the paint. Patient free thrower with good arc. Likes physical contact. Crashes the offensive board, rebounds and uses the glass well. Needs to add more midrange and to develop counter moves to keep the paint and below the 3 point line defense honest. Quick and bouncy, good jumper from 20 feet. Rebounds well. As the team's primary ballhandler, looks for and takes advantage of non defensive help positions. Good ballfakes. Needs to add midrange choices on offense to toolbox. Leading, driven and opportunistic scorer on a well coached team. Good strength and good court speed. Driven rebounder with a good overall feel for the game. Has the tools to compete at unlimited levels now and in the future. 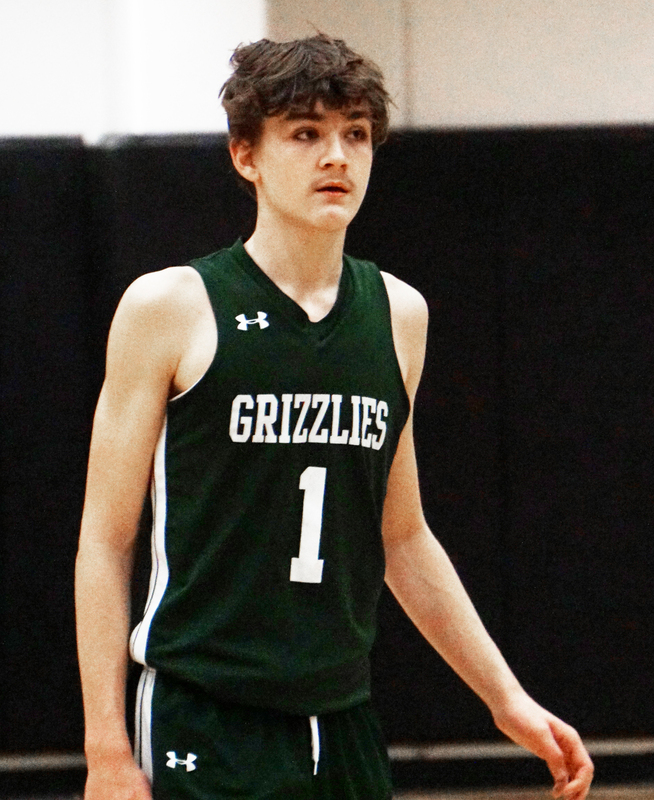 As a secondary ballhandler and fastbreak initiator on his team, this long and above average ballhandler with good court vision leads successful and consistent finishes with good decisions. Voluntarily communicative on defense. Anticipatory and willing rebounder. Needs to add more aggression to offensive inside play. Hustles for everything on offense and defense. Good shooter with good shot selection. Better than average freethrow shooter. Resistance training, and later weight training is waiting for initiating and finishing through contact. WAIT --- did you see the rotation on that 3 point shot from the 27 ft left wing??? This shot rarely hits the rim mostly net, about 46% of any group of attempts. Prefers 2 guard role but with poised handles, will efficiently run any offense. 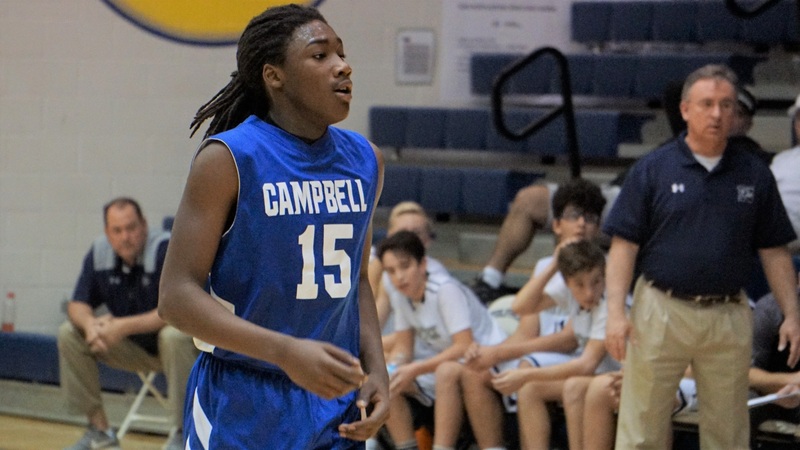 Gets productive minutes as well on his 8th grade team. 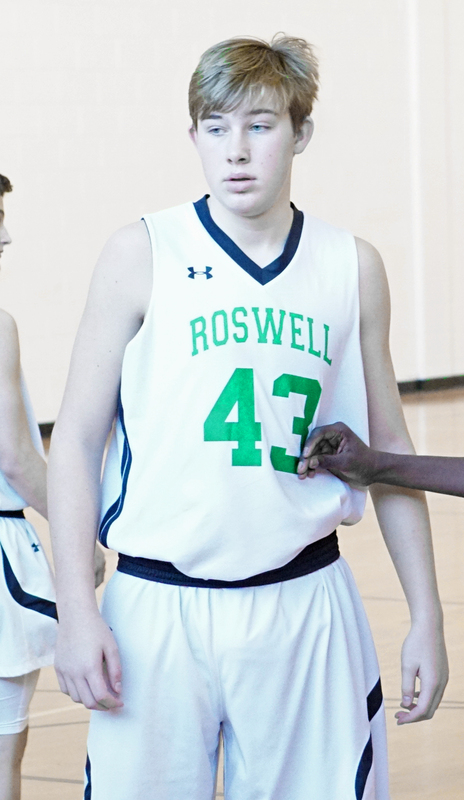 Long lefty with improving 3 point range and agressive ballhandling skills. Opportunistic shot blocker and rebounder. Very good in the screen and roll offense or pick and pop. Reads the defense well from triple threat position. Added strength is in the works. Tough, post season dunk contest participant who makes good decisions as an offensive centerpoint. Very active on defense in the paint. Disciplined defensively on paint shotfakes.Seeks and initiates offensive or defensive contact on every play. Needs to improve stamina. Lights out, small, quick and consistent release shooter who takes advantage of split second late defensive closeouts. 20-24 foot range with above average accuracy from the wing to the baseline. Hustles to his spots in the team's full court beginning to end of game press. Poised and willing passer. Imposing 6'4" presence who makes his offensive and defensive home in the paint. Willing passer out of double teams. Makes you think twice about penetration. Vocal to the point that teammates have no guesswork about the current on floor situation. Needs to add range to offense outside of the paint. Little defensive resistance outside of the paint. Long lefty who in one year has added offensive skills to an already aggressive defensive attitude. Sets screens well. Blocks more than 3 shots per game. Good pressbreaking IQ. Will only continue to gain confidence and strength. 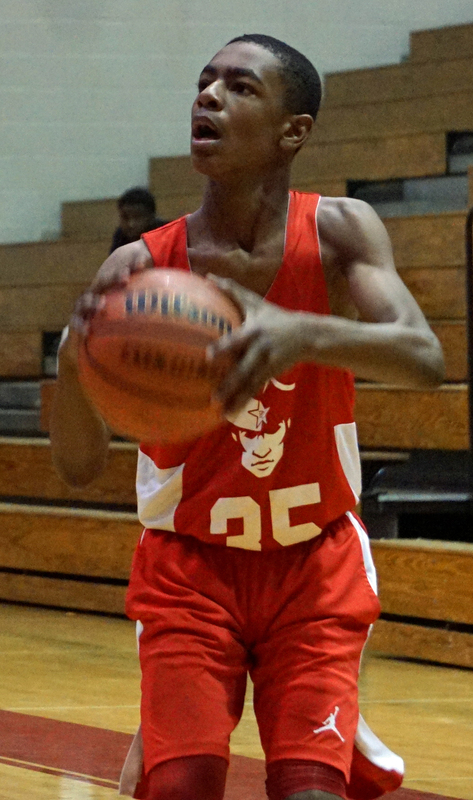 Quick and strong, this predominitly right handed driver has a nice eurostep in his toolbox. This leaves defenders useless and adds up to assists. Penetrates at will. Battles hard for offensive rebounds. Trusted by the coaches and has the offensive green light to make things happen. Unphased by physicality. Speedy, knock down 3 point shooter from distance. Great off season work ethic. Very comfortable playing 2 on offense and any position on defense in the team's relentless and effective diamond press. Good anticipation for steals. Needs work on freethrows. Hard working, versatile player who shows lots of promise in many areas. Very effective playing positions 1-3 and will fight at 4-5. Underrated ballhandler. High basketball IQ. Fundamentally sound in areas that are normally ignored (freethrowing, help defense, leadership). Will work to get stronger moving forward. Good athlete with football and basketball quickness and toughness. Strong ballhandler, persistent rebounder with good springs. Good teammate who shares the basketball unselfishly in transition or in the half court. Plays offense and defense enthusiastically and with the team in mind. Expansion of 3 point range is in the works. 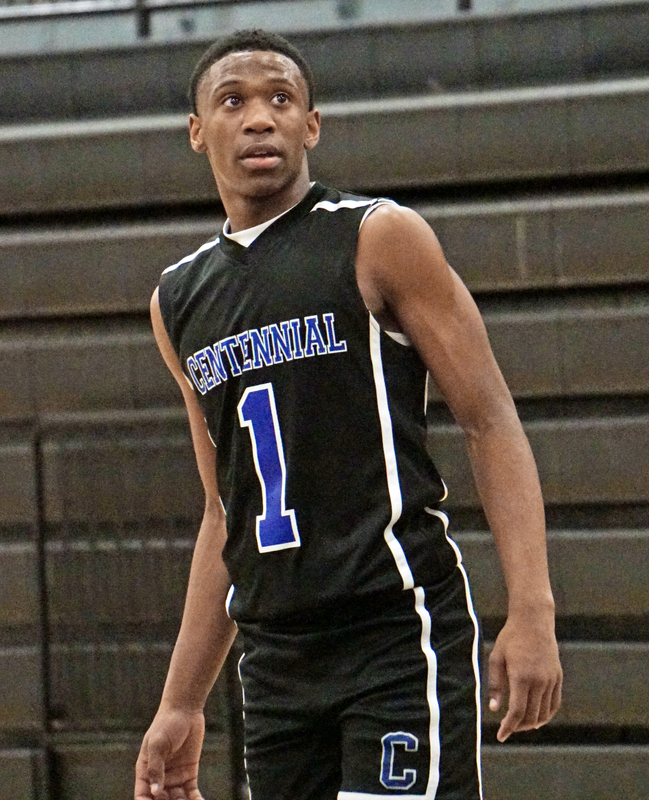 This athletic, aggressive forward with good handles and above average lower body strength never runs out of gas. Jase continues to compete for the basketball when others stop. Needs midrange and offhand finishing work but makes up for it in the interim with his desire for the basketball. 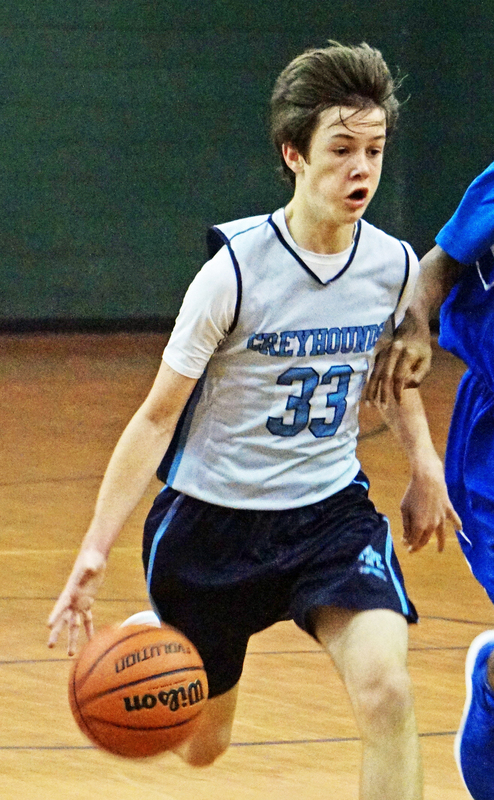 Knockdown net shooter who plays and embraces ALL aspects of the game. LISTENS and uses coaching to his advantage. As a result is developing a complete basketball toolbox. Plays defense 100% of the time and takes charges, backtips properly and communicates without being asked. Adding a variety of pumpfakes, eurosteps and stepbacks as well as rebounding to his improving handles and his already big heart.. Stay tuned. 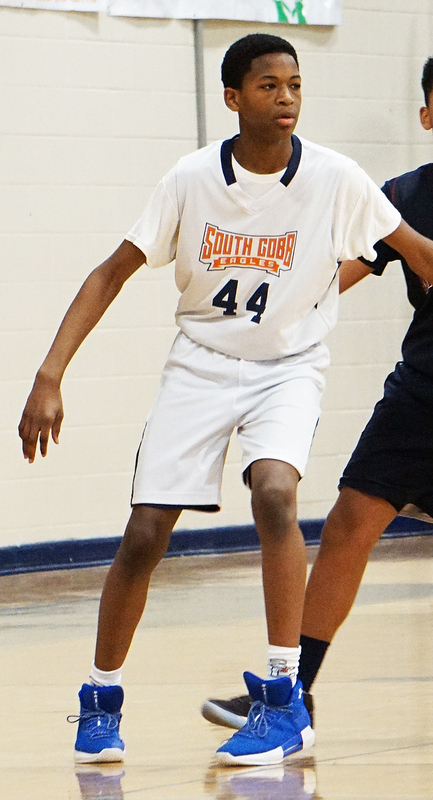 Is a strong athletic, aggressive defensive fundamental player who closes out consistently well. He is long and quick with good instincts and habitually establishes his paint and rebounding presence as well as his defensive positioning. Needs more touches on offense to develop that part of his game. 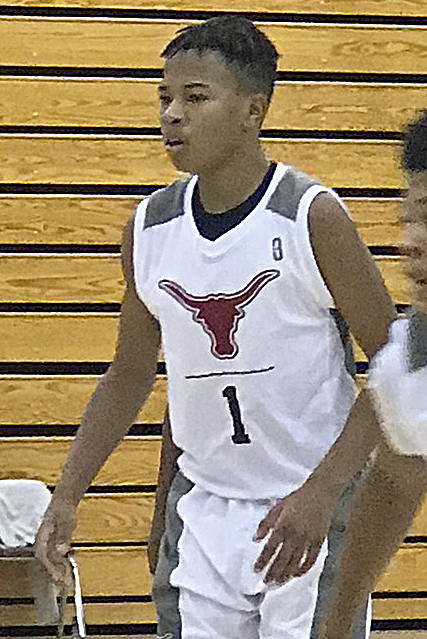 In the full court aggressively defensive system that he leads, Malik is able to maximize the quickness that his feet and hands possess to get steals and finish. A growth spurt is on the way and his offseason work has put his skills in a much better position than last season. Needs more shooting repetition to extend his range. Needs more work at point guard offensively. A lockdown individual defender. Good ballhandler. 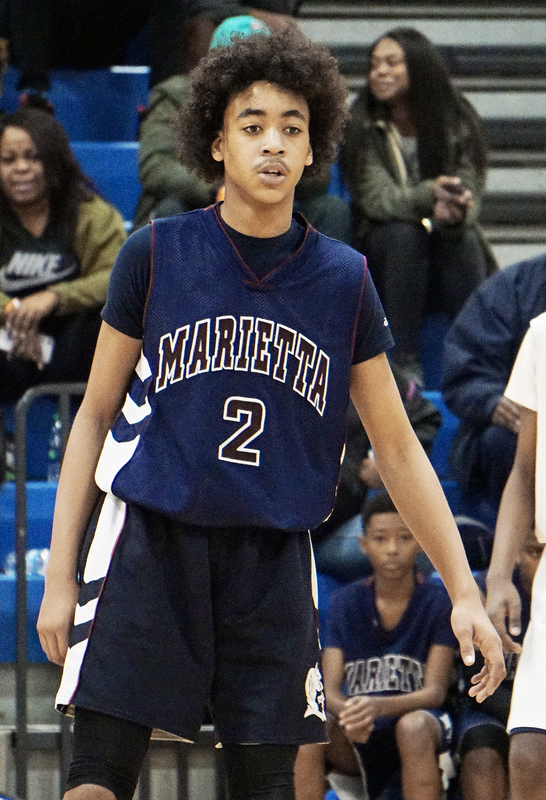 Aggressive and seeks contact with defenders in the open floor and in transition. Willing passer. Stretch, sure handed and opportunistic rebounder. Needs to add more anticipation to overall defense. Good shooter. External links are provided for reference purposes. Cobb County Junior Basketball Conference is not responsible for the content of external Internet sites.